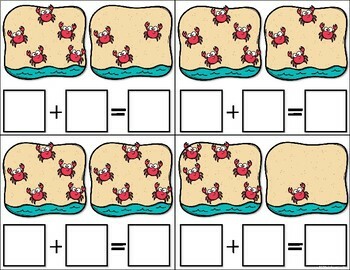 These cute crabs are ready to help your students rock their addition facts! 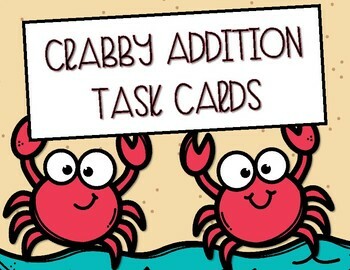 These 56 vibrantly illustrated addition cards feature cute, summery crabs, each with a picture for students to count and add. 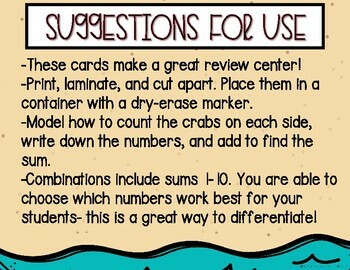 Sums range from 1-10, so they allow for differentiation to meet varying student needs. 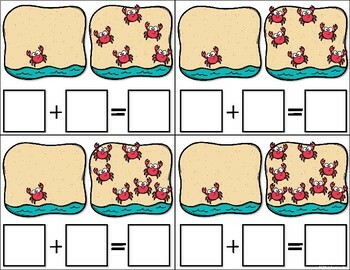 Students can count or count on to add and write the equation under the pictures.